ARMIN STROM launches special model at Act 3 of the Extreme 40 series in Istanbul. It is considered to be the best supported and most dynamic sailing series in the world: the Extreme Sailing Series- fast, thrilling, spectacular. To coincide with the third leg, which took place in Istanbul from 7 to 10 June 2012, ARMIN STROM, sponsor of the GAC Pindar Sailing Team, launched a special limited edition of 40 pieces – matching the lines of the slim, racy similarly structured catamarans (40-foot / 12.2 meters). Innovation, perfection, precision – values, which ARMIN STROM stands for and without which an Extreme 40 race cannot be won. The “ARMIN Manual Water - Special Edition GAC Pindar Sailing Team” was presented in the presence of Ian Williams, ARMIN STROM Brand Ambassador and GAC Pindar skipper, on the roof terrace of the ARMADA Hotel at an exclusive party with selected guests and clients. Earlier, just in front of the Istanbul shoreline, the crew of the experienced match-racer had thrilled spectators with speeds of over 40 knots (around 70km/hr) and some exciting manoeuvres. As usual, the manufacture movement of the “ARMIN Manual Water – Special Edition GAC Pindar Sailing Team” is assembled to the highest handcraft standards. The element of water is depicted symbolically as waves hand-engraved on the gear train bridge. A special feature is its navy blue calfskin strap, stitched with the original canvas from the GAC Pindar catamaran, emphasizing the maritime and dynamic spirit. The 120-hour power reserve of the “ARMIN Manual Water – Special Edition GAC Pindar Sailing Team” is enough for longer voyages. 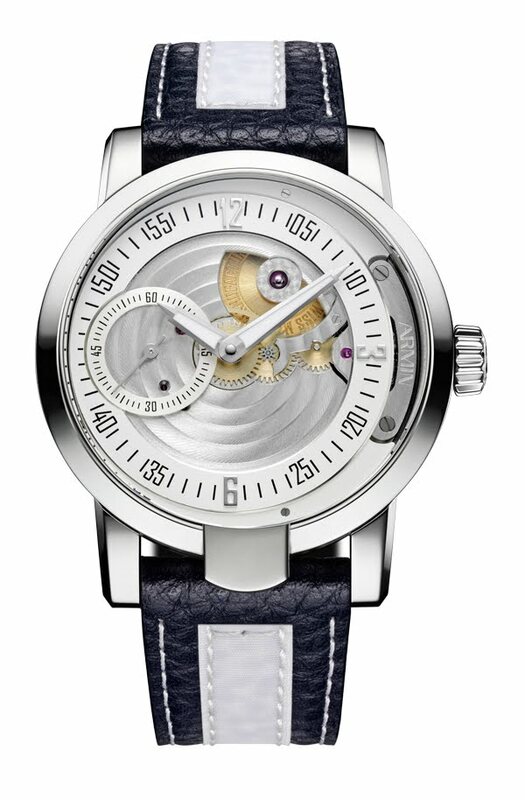 During calmer moments, the mechanical hand-wound movement can be admired through the anti-reflective, sapphire crystal case back. Or for diving purposes, the 43.5mm diameter, high-grade, steel case is water-resistant to 50 meters.